Airnox Det finns 3 produkter. Airnox UMS A6M Zero 2.4GHz Ready-To-Fly A 396 mm span four function gyro equipped model of the most famous Japanese dog fighter, complete with LiPo battery and a 2.4GHz transmitter with integral charger. 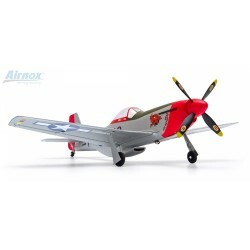 Airnox UMS™ P-51D Mustang 2.4GHz Ready-To-Fly A capable, four-function gyro equipped foam warbird for indoor and outdoor flight. 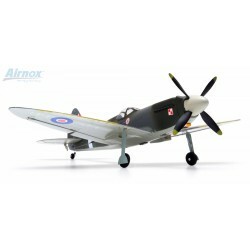 Airnox UMS Spitfire 2.4GHz Ready-To-Fly A 425 mm span four function gyro equipped model of the RAF's most famous W.W.II fighter, complete with LiPo battery and a 2.4GHz transmitter with integral charger.